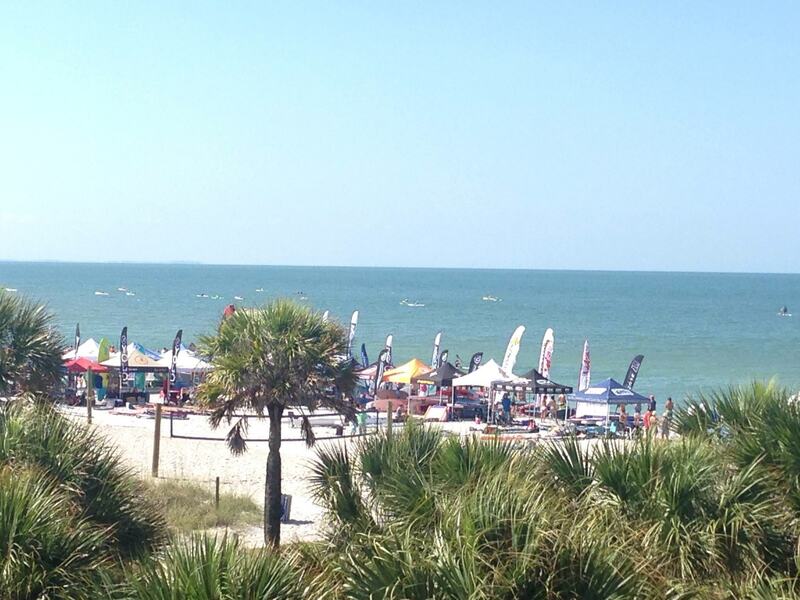 MADEIRA BEACH – Bruce Denson paused this morning during his busy day of race director duties at the Florida Cup to consider the growth of the third-annual stand-up paddleboarding event. There were nearly 200 paddlers between the open, elite and kids races, a tent city of sponsor tents representing prominent SUP companies, and postcard-perfect weather. There was a massive inflatable finish arch and announcers from Stoke Radio handling emcee duties to give the race a big-event feel. 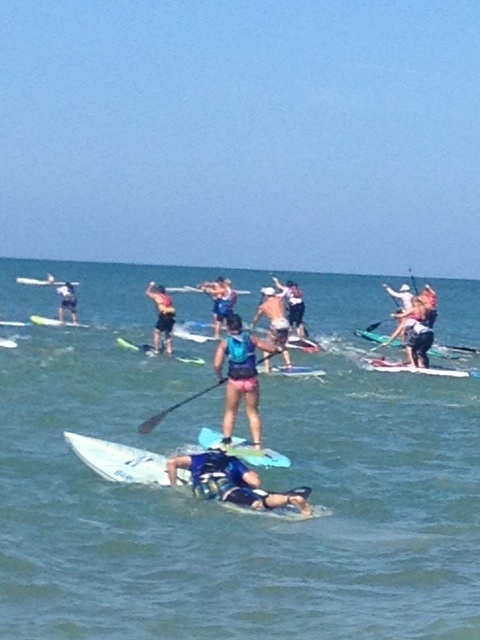 Best of all, Denson seems to have found the ideal spot for a major SUP race in Tampa Bay: Archibald Park in Madeira Beach. “We’ve gotten tremendous support from Madeira Beach, the sponsors, and of course the entire SUP community,” says Denson, a St. Petersburg attorney and avid paddler. Archibald Park, the longtime home of the Madeira Beach Triathlon, seems tailor-made for SUP, with parking for about 80 cars in the beach lot and at least 100 more at a supermarket across the street that allows athletes to park there for no charge in a designated area. 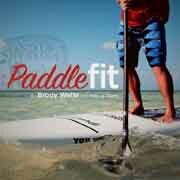 Though Pinellas County’s Gulf of Mexico beaches are ideal for SUP racing, parking always has been the stumbling block. Numerous events have tried to build traction at sites between St. Petersburg and Clearwater only to struggle with offering adequate parking nearby. Denson debuted the Florida Cup in Treasure Island in 2013 and staged it at St. Pete Beach last year, encountering the same issue in both places. The Archibald Park lot, usually shut down for triathlon parking to stage the transition area and post-race festivities, proved adequate for Florida Cup parking. For later arrivals, Denson had board “sherpas” on hand to unload boards and transport them to the shoreline while racers parked at the supermarket. Denson also has streamlined what was a packed weekend-long series of activities. There’s still Friday night packet pickup and a post-race lunch, but the focus is on the race itself. That’s why we believe the Florida Cup will be among the major SUP races that will survive long-term. 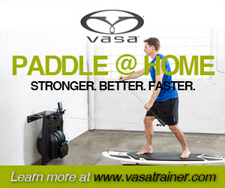 As with running, triathlon, and obstacle racing, the number of SUP races has exploded in recent years only to see a shakeout. Many SUP events self-destruct by offering prize money, multiple parties, and lavish awards presentations held well after the end of the race – all of which adds financial pressure and organization hassles to what is already a challenging production staged on public waterways. Even The Battle of the Paddle, the sport’s premier event held in California, folded earlier this month after nearly a decade because race organizers grew tired of staging what had become an increasingly lavish and expensive weekend. Which races will fill the void? The popular Carolina Cup, held in Wrightsville, North Carolina in April, is now the biggest event with more than 600 athletes. Denson’s Florida Cup also seems in good position to grow, especially with athletes and sponsors raving about this morning’s event. Florida always seems like the overshadowed little brother in endurance sports, with Californians claiming ownership of triathlon and stand-up paddleboarding. But the Sunshine State leads the nation in number of marathons, obstacle races, triathlons and SUP events – and also the quality of events – with California promoters forever struggling to get their act together. The nation’s largest warm-weather state now has no major championship in triathlon or SUP. Some might suggest that mirrors the overall management of the states in general. Either way, we’re bullish on SUP in Florida and the Florida Cup, the Sunshine State’s premier event, which seems poised to flourish in 2016 and beyond.